A 51-year-old pedestrian who was hit by a bus in Reading has died. 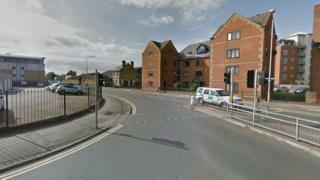 The man was pronounced dead at the scene in Great Knolly's Street after police were called at 23:45 BST on Friday. A Thames Valley Police spokeswoman said the man was from Reading and his next of kin had been informed. The road was closed for about four hours. The driver of the bus stopped at the scene, was not injured, and no passengers were on board at the time.